Greetings, GameRevolutionaries! 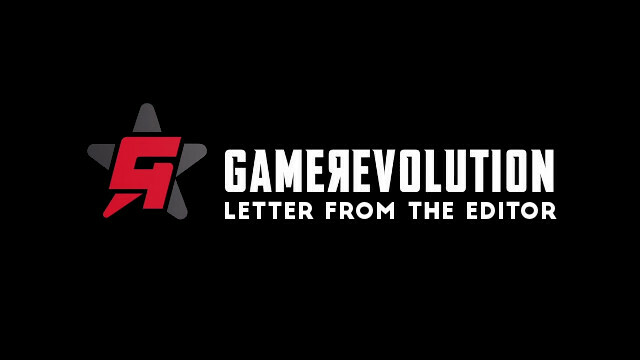 It has been a while since I’ve reached out to our readers, but I wanted to give you all an update on where GameRevolution is now and where it is headed in the near future. While GameRevolution doesn’t look too different, the reality is that there have been some key changes that have taken place behind closed doors in order to make GR a more vibrant, exciting place. Let’s take a look at these changes. A new under-the-hood change now allows us to more carefully curate our homepage, meaning that we can now give pride of place to the best features, hottest news items, and most heavily discussed topics. There is so much happening in the games industry on a day-to-day basis that it’s nearly impossible to keep on top of it all. That’s where GameRevolution comes in. GameRevolution is going all-in on daily features and op-eds, covering a variety of interesting topics from retro games in our RETROspective series, through to expert hardware tips, reviews, and analysis. We’ve dramatically increased our number of features, publishing a whole bunch per day. Don’t miss out: you can view all of our latest features in our features hub. GameRevolution has achieved monumental growth in the past year. In November 2017 the site was run by a team of three editors, who also published everything the site had to offer. In November 2018, we have a team of over 20 writers and editors, each providing widespread coverage of every area of the industry. GameRevolution is known for its reviews, and for good reason. Since 1996, the site has provided some of the best critical coverage on the internet, now immortalized in our Hall of Fame. If you want to know all the ins ‘n’ outs of a new release, we promise to deliver. Check out our reviews hub for more. GameRevolution is committed to engaging with our community, providing our readers with a bunch of projects every month for them to get involved in. Whether these projects are console or game giveaways, livestreams, game marathons, or podcasts, we’re constantly thinking of ways to bring GR to more eyeballs. What’s Coming in the Near Future? GameRevolution Radio. Yes, GR’s popular podcast is set to make its return in 2018. We have some exciting things planned for this reboot, which will see the GR team livestreaming a monthly special with viewer participation. Keep your eyes peeled to GR for more info in the coming weeks. Holiday Special. End-of-year coverage is the most fun coverage of the year, and we’re looking forward to providing our readers with our most extensive “best of” lists yet. Stay tuned throughout the month of December for some extra special stuff. If you have any suggestions or recommendations, please let us know in the comments section below. As always, thank you for your continued support.